Hot on the ever-so-elegant heels of the beautiful French-inspired Cannelé collection, Andrew Geoghegan launches a lavish new piece inspired by visits to his French retreat and summer nights under crystalline skies: the beguiling double haloed Clair de Lune (meaning ‘moonlight’) is an ode to Gallic romance and the natural beauty of these rural surrounds. 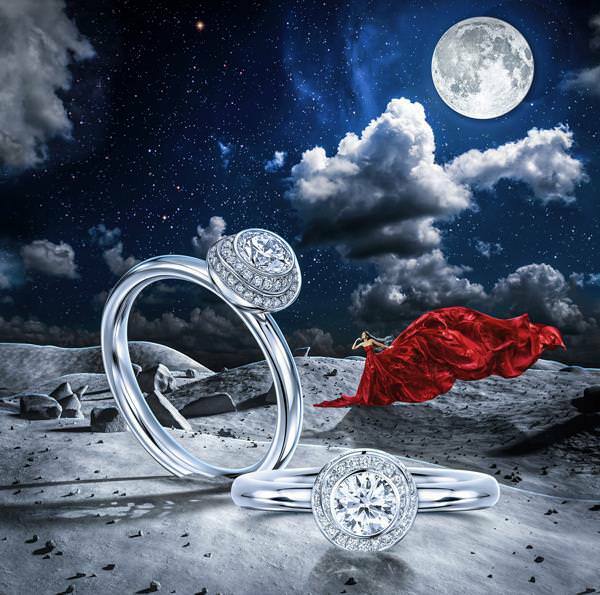 From above, a diamond appears held between two crescent moons: yet the profile reveals two twisting haloes, gracefully embracing the shimmering, pristine diamond, as bright as the new moon on a crystal clear night. Additional elements to the collection will be launched throughout the year.